Hi Tech air reactors have to be sized correctly for your building or your home. If your building is not equipped with the right number of Hi Tech machines, they will not clean the air adequately. Mold, mycotoxins and other tiny toxins that we can’t see move quickly. 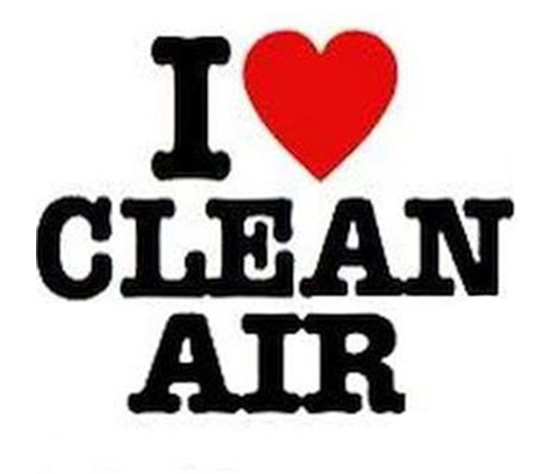 If you have a Hi Tech air reactor that is rated for 1,600 square feet (Model 101) in a home that is 2500 square feet, it will clean some of the area while the toxins are still active in the other areas and the toxins will blow around so you don’t have a clean area. 1,600-3,200 square feet = TWO Hi Tech Model 101’s. 3,200-4,800 square feet = THREE Hi Tech Model 101’s. The square footage is based on 8 foot ceilings. So if your ceilings are higher or you have cathedral ceilings, we need to figure out cubic foot area! Example: If your square foot area is 1600 square feet but your ceilings are 16 feet – you need TWO Model 101’s. When figuring out the size of a home, many make the mistake of NOT basement or crawlspace in the square footage. If there is air exchange with these areas, they will need to be included in the square footage. We do not include attic space in square footage. 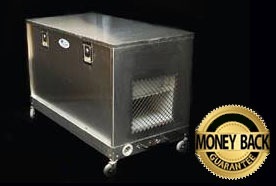 If people have a mold problem in their attic, the Hi Tech air reactors will keep the air in the home safe to breathe but when the machines are shut off, whatever mold is in the attic will seep back into the house. Some common problems that can cause moisture/mold in the attic: roof leak, bathroom fans are vented improperly or the HVAC unit has a moisture problem. If the attic has a known moisture or mold problem (past or present) – you may want to put an air reactor in the attic to take care of it at the source. At an Indoor Air Quality Association conference, I found out that 50% of a home’s indoor air comes from the basement. That is why we did a full basement/crawlspace encapsulation – we have a partial dirt floor and there were toxins coming out of the dirt that were contributing to our poor indoor air quality. 2. 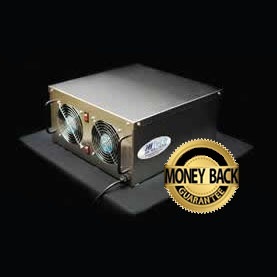 Get extra Hi Tech air reactors – sometimes in hostile situation having a 101 for every 800-1,000 square feet will be necessary to clear the air. It is always a good idea to contact a Hi Tech expert to be sure of how many machines you need for your home. Most of the time, in a home over 1,600, you are going to want to get multiple Model 101’s, rather than one of the larger models. 101’s are portable, 20 pounds with sturdy handles for easily moving them around if you want to relocate them. They do clean at a distance, so moving them around constantly is not necessary. The Hi Tech air reactors do clean better closest to the machine, so if you have an area you know is a problem or something that you bring in that you know is a problem, it is best to put the machine near the problem. Another option is getting a Model 110 – which is the workhorse of the Hi Tech machines – it is rated for up to 5,000 square feet and is often used with one or several Model 101’s. I have seen the 110 clear a hostile environment in two weeks– so you would never know there was an indoor air quality issue in a building! The Model 110 is larger and is on wheels. If you need to pick it up and move it into a vehicle for transport or another area, you will need 2 people. It is great for larger areas like gymnasiums, schools, commercial buildings, hospitals and other areas with large square footage/cubic foot area. While the Model 101 will eventually clear the air and leave you with clean air, the Model 110 will do the job quicker. One family I work with lives in a New York apartment building and most of the time, the 101 is enough to keep up with the toxicity… if they feel the apartment has gotten toxic, which often happens because neighboring apartments are toxic, the building is toxic and the outdoor air is toxic, they will run the 110 to do a thorough decontamination. We also use the Hi Tech 101 in our car… if you are sensitive to mold and other toxins and you are cleaning the air in your home, you want to clean the air in your car, too. Some people don’t even realize that their car is a source of toxins. I run the Hi tech 101 in my car at least once a month… or after I give someone a ride who lives in a sick building. If you have any questions about your particular situation, contact me directly or set up a phone consult.